Finally! 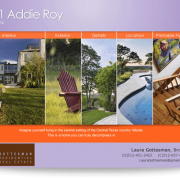 Single Property Sites you’ve been wanting for a long time is now here. Tangerinefiles.com has officially become AgentAssets.com. And we have many great features and abilities with the new system. It’s been a long time in the making and I’m finally proud to announce the new site. Here’s a breakdown of the features we’ve got! https://agentassets.com/wp-content/uploads/2015/06/pool-8.jpg 2000 3000 https://agentassets.com/wp-content/uploads/2016/05/aa_logo-header-logo4.png 2016-08-02 10:04:312017-03-10 09:42:29AgentAssets is here! Simple. Because we make the most elegant microsites on the planet… that work. How do we know? Because our clients tell us. We work hard and we love what we do. 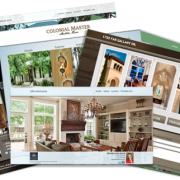 We specialize in beautiful property websites that would cost $2,000 or more per site. We want to keep the branding you’ve worked so hard to build intact. Microsites should extend the consistency of your branding along the quality of your print materials and website that you and your clients deserve. Microsites contain their own SEO principles and tags allowing savvy buyers on the internet to find your listings quickly. https://agentassets.com/wp-content/uploads/2015/06/gottesman-sample.png 376 488 https://agentassets.com/wp-content/uploads/2016/05/aa_logo-header-logo4.png 2015-06-17 12:20:042016-11-23 14:02:49Why Use Us?